You feel how you eat. We accept that the quality of our diet affects the health of our heart and liver. 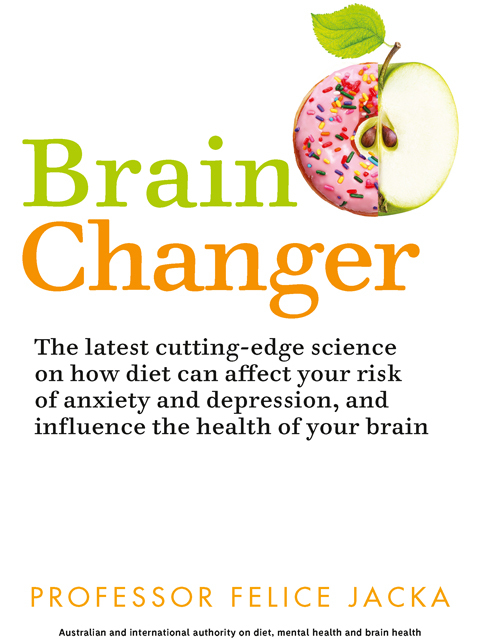 So why wouldn't diet - good or bad - affect the health of our brain? This is the question that Australian scientist Felice Jacka set out to answer. Having suffered depression and anxiety as a young woman, she wanted to understand the role diet plays in our overall mental and brain health. What she found through her own research and that of other eminent scientists worldwide will revolutionise the way we think about what we eat and how we care for our brains. * Obesity and depression are two major causes of disease and disability across the globe, and each influences the other. *Food does affect mood: highly processed foods increase depression risk, while a balanced, whole-food diet can prevent depression and improve mood. *A healthy diet improves gut health, and in turn health microbiota (gut bacteria) promote brain health and keep our weight in check. *A healthy diet improves brain performance at all ages, from school-age kids to their work-stressed parents. *The Mediterranean diet is linked to lower rates of Alzheimer's disease and general cognitive decline in older people. Professor Jacka, who leads the field of Nutritional Psychiatry research globally, provides not just the most recent scientific evidence but also a range of simple, practical solutions for improving the way we eat on a daily basis, including meal plans and a range of delicious recipes. This is not a diet book. This is a guide to the good habits that will protect your most precious organ, improve your quality of life and optimise mental and brain health across your lifespan. Professor Felice Jacka is director of the Food & Mood Centre at Deakin University in Australia, founder and president of the International Society for Nutritional Psychiatry Research, and immediate past-president of the Australian Alliance for the Prevention of Mental Disorders. She holds Honorary Principal Research Fellow appointments at the Centre for Adolescent Health, Murdoch Children's Research Centre, and the Black Dog Institute. Professor Jacka's current research focuses closely on the links between diet, gut health and mental and brain health.